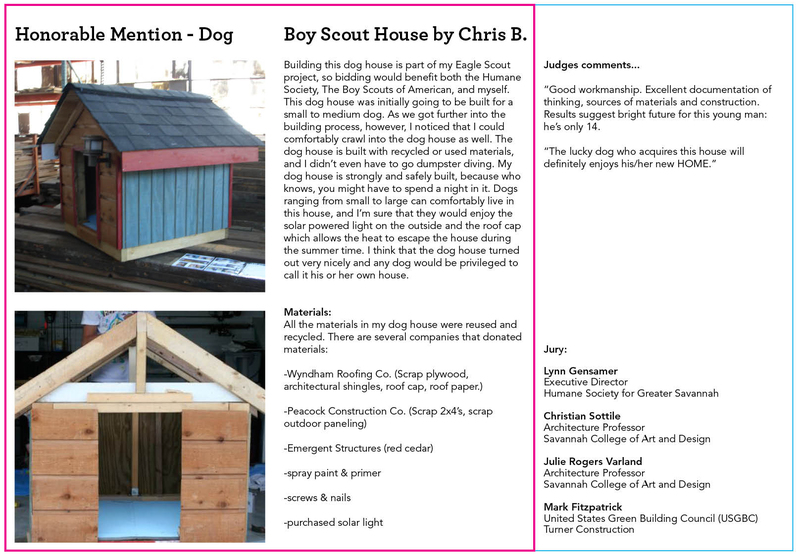 Boy Scout House by Chris B.
Click the image for a larger view to the read the description and judges comments. This was a great entry by Chris who also organized his entire Boy Scout group to help with an interior house deconstruction for Emergent Structures. More information can be found here.